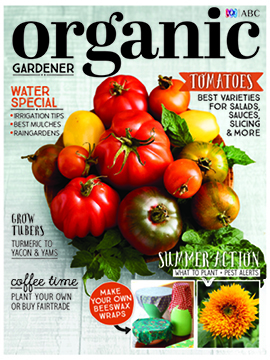 The heat is on with the latest issue of Organic Gardener! With summer just around the corner it's tomato time! We reveal the best varieties to grow for salads, sauces, slicing, stuffing and more, and investigate growing your own coffee and buying Fair Trade. Also featured is a watering special with all the essential advice to keep your garden happy this summer, recipes from popular foodie Annabel Langbein, how to grow tubers from turmeric to yacon, and your summer action plan, including what to plant and pests to look out for. With all this and much, much more it's a jam-packed issue! The stakes are high in the tomato-growing world. To ensure you get it right, Paul West reveals the best varieties for salads, slicing, saucing, stuffing and drying, and explains the colour/flavour connection. 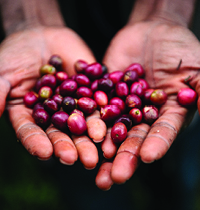 Simon Webster says growing your own coffee is a satisfying labour of love, but if you don’t have the space or right climate, then organic and fair trade coffee is the way to go. 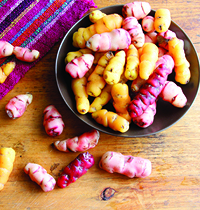 Justin Russell explores the world of lesser-known tubers, how to grow them, and their value in a changing world. 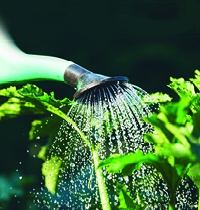 Justin Russell showers you with irrigation ideas to keep your garden efficiently watered this summer. A gift in the garden, this herbaceous plant’s aromatic leaves and flowers are used in cooking, and to flavour tea and attract nectar-loving birds and insects. Penny Woodward extolls the virtues of mulch, investigates the different varieties and shares an earthworm-attracting lucerne tea recipe. Set your garden up for success now and reap the rewards all summer long. 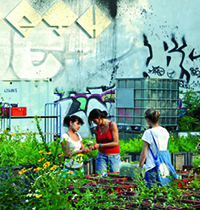 Guerrilla gardens are delivering food and community for a once divided city, writes Bella Peacock. 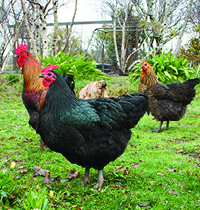 After years of providing for you, your fowls deserve a well-thought-out retirement plan. Jessamy Miller explores. Make beeswax wraps to help keep food and reduce your single-use plastic consumption, writes Jessamy Miller. 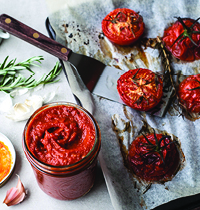 Annabel Langbein introduces some fabulous recipes with fresh ingredients from her garden. Global organics expert André Leu shares his insights into the industry and its future, writes Kylie McGregor. Want to combat cognitive ageing? Try lutein-rich leafy greens, writes flower-munching Penny Woodward. 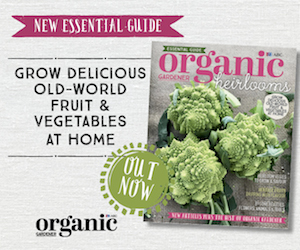 Organic matters – the latest news and events. Organic market – latest garden and health products. Organic plant: Indigenous gems – Ready for the heat? Karen Sutherland suggests these drought-tolerant, edible natives. Organic advice – our experts answer your gardening questions. Organic library – the latest books. Losing the plot: Strange creations – Simon Webster unwittingly channels Dr Frankenstein, one unusually shaped vegie at a time. 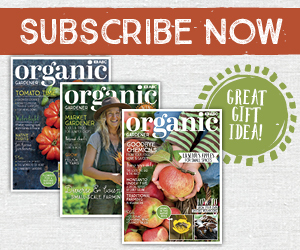 Subscription offer – Subscribe to Organic Gardener magazine and receive a bonus Organic Gardener 2018 Calendar valued at $15.95! 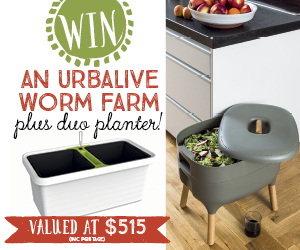 Competition – WIN one of five That Red House Eco Laundry Packs valued at $114.90 each! Gardening on your ABC – Your ABC local radio and TV gardening guide.